Microsoft the Sleeper Hit Of CES 2012? Steve Ballmer took to the stage at this morning’s AT&T Developer Summit keynote sharing his excitement for the future of Windows Phones and Windows 8. 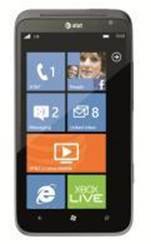 AT&T revealed that it will be the first carrier to offer LTE Windows Phones starting with the HTC Titan II. The headlining feature of the HTC Titan II, other than its LTE connectivity is the fact that it has a 16-megapixel camera with a f/2.6 wide-angle lens and autofocus. Yes, you read that right. It seems a bit over-the-top, but HTC has had a great track record with high quality cameras with the T-Mobile myTouch 4G Slide and the HTC Amaze 4G. The phone's 4.7-inch super LCD screen is the largest display yet on a Windows phone. Powered by a 1.5 GHz Snapdragon S2 processor, you can watch the latest TV shows and movies via HTC Watch, and game-on-the-go with Xbox LIVE. You can video-chat with the Titan II via its 1.3-megapixel front-facing camera, and also capture 720p quality video. AT&T has the largest roster of Windows Phones out of all the carriers with highly-praised phones such as the HTC Titan (of course), the Samsung Focus S, the HTC Inspire and the Samsung Focus Flash. With its excellent camera, the HTC Titan 2 is the perfect phone for mobile shutterbugs--provided that your hands are big enough to hold the phone comfortably.